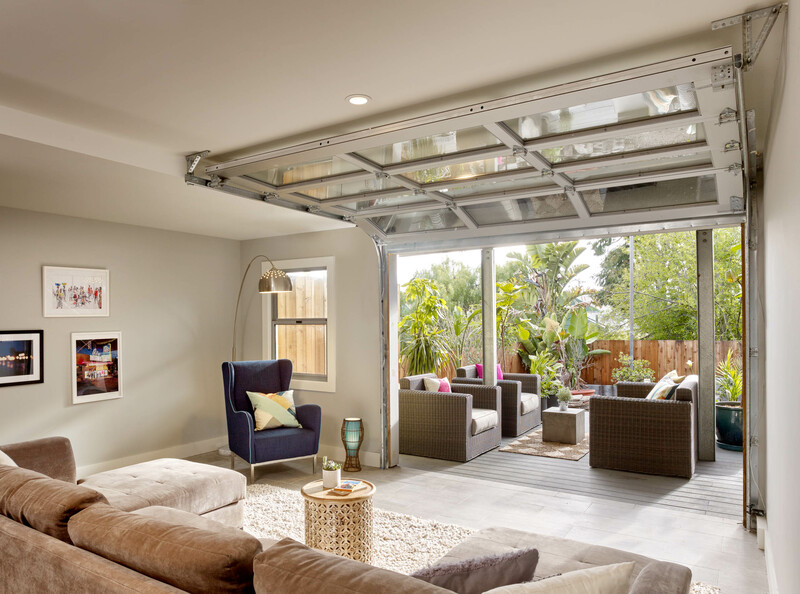 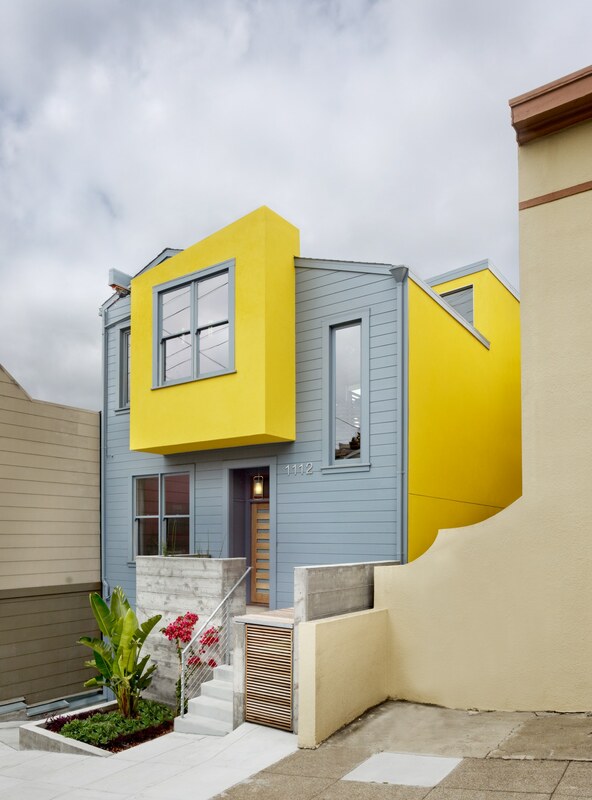 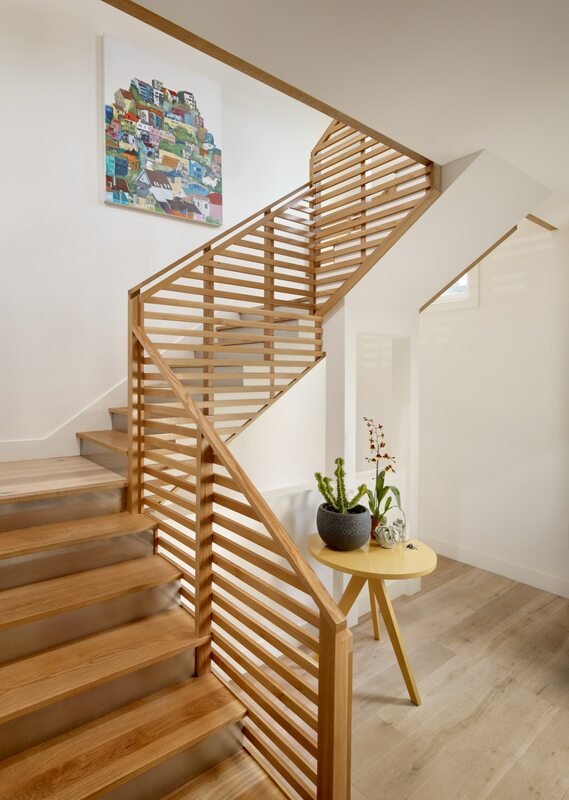 This project includes the third floor addition and complete seismic upgrade of an existing residence in San Francisco’s Potrero Hill neighborhood. 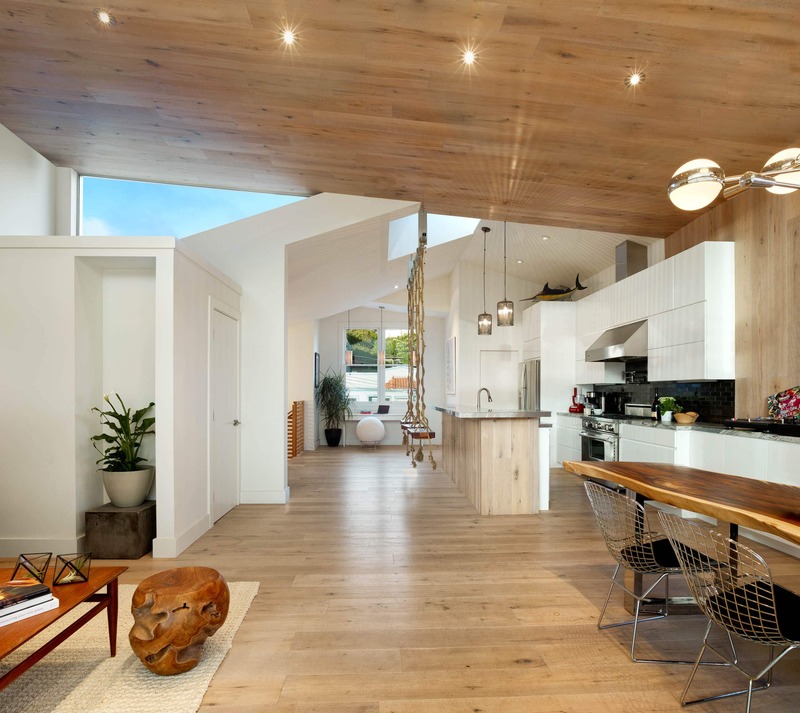 Varied roof slopes, which read through to the interior of the addition, in conjunction with the skylights and interstitial glazing, lend this new living space a light, playful feel. 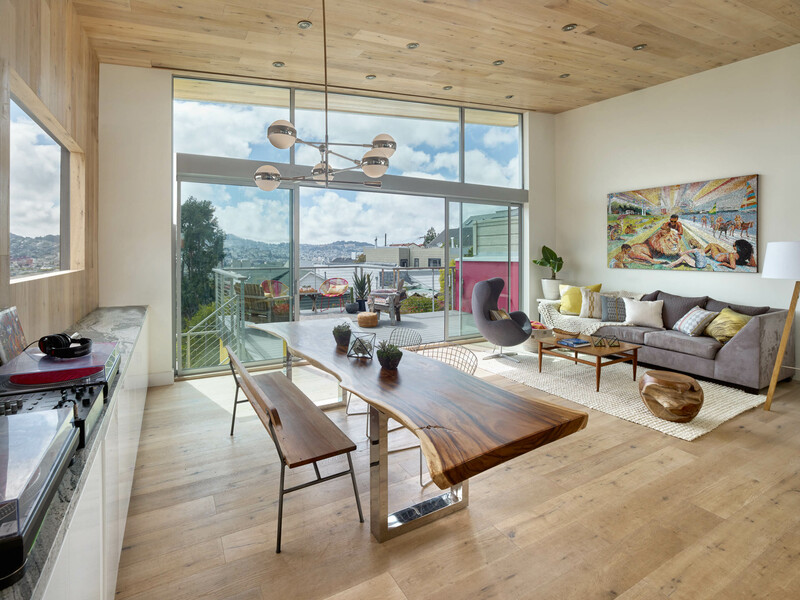 The playfulness continues with the swing-set seats hung from the ceiling at the kitchen island bar.